iccanobiF numbers are defined in a way similar to Fibonacci numbers, but the two previous terms are reversed before being added. 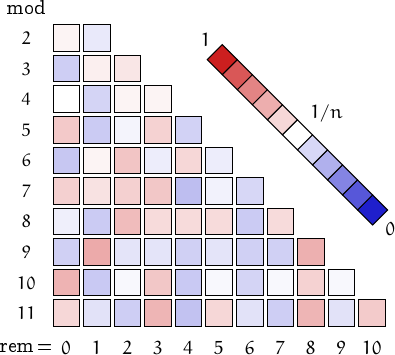 The sequence is thus obtained in this way, 1, 1, 1+1=2, 1+2=3, 2+3=5, 3+5=8, 5+8=13, 8+31=39, 31+93=124, and so on. 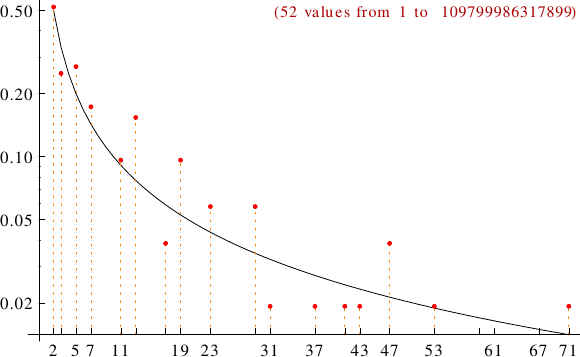 A graph displaying how many iccanobiF numbers are multiples of the primes p from 2 to 71. In black the ideal line 1/p.